Issuing coins with the image of Mata Vaishno Devi to commemorate the occasion of the silver jubilee of Shri Mata Vaishno Devi Shrine Board was "not a dent on secular fabric" of the country it said. 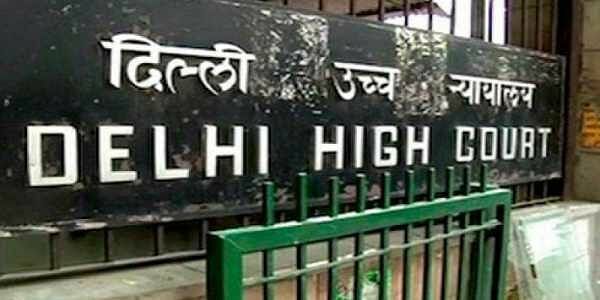 NEW DELHI: The Delhi High Court on Thursday rejected a plea seeking a ban on issue of coins with religious symbols embossed on them, saying it does not hamper the "secular fabric" of the country. Acting Chief Justice Gita Mittal and Justice C. Hari Shankar, while dismissing a petition questioning the issue of Rs 5 denomination coins with the embossed image of Mata Vaishno Devi, said the government had the power to issue such coins under the Coinage Act. Issuing coins with the image of Mata Vaishno Devi to commemorate the occasion of the silver jubilee of Shri Mata Vaishno Devi Shrine Board was "not a dent on secular fabric" of the country, said the bench. After the advocate appearing for the petitioner Nafis Qazi said secular democratic credentials of the governance were damaged when the government issues currency with religious symbols, the court said: "Secularism doesn't say you will never issue coins to commemorate for any event. "Secularism is not that they (government and RBI) will not commemorate event of any religion. Tomorrow, they may want to commemorate Muslim or Sikh events... They have the power," said the bench. The court also said there was "no act of favouritism and discrimination" by the government in directing minting of coins to commemorate an event. The order came on a PIL filed by Qazi against the Finance Ministry and the Reserve Bank of India saying the government, by bringing out coins at regular intervals with religious symbols such as figures of a deity or temple embossed on them, was indulging in anti-secular actions. "These symbols undermine the secular character, a basic feature of the Constitution," the advocate said. The plea said the government came out with similar coins in 2010 and 2013 and these should be withdrawn.